We were looking at a back number of the magazine for quite another reason and happened on this piece by the late Ken Eisler. It was written at a time when most of us had heard little of Werner Herzog and seen less. Ken had caught Aguirre, Zorn des Gottes in Mexico City—one of the few places the film played before Herzog became a cult item; he wrote this appreciation sometime later. There are some misremembered details here, and maybe just a little Kunstwerk of Ken’s own. These factors do not contradict our fondness for the piece, even underscore its value as a personal response, one artist to another. Aguirre is firmly established as a cult item now, and a lot of our present readers will not have access to MTN 29 of January-February 1971. So here. A strange breed of Katze, this “autodidact” film director Herzog. Lacks decorum, y’ know: Dash of this, dash of that … and that … and that. Just splashes it all together up there, out front; damned if the thing don’t come out echt Kunstwerk. Well, speaking of Murnau, he surely would have relished the supple camerawork of Aguirre, its saturated Andean colors; but its reckless admixture of elements—now that might have been something else again. The pop adventure yarn, maybe; but the pop parable? Colonialism? Fascism? Take your pick. The distancing, maybe, the cool. Example: On a surging river, a big raft revolves helplessly, crowded with panicky soldiers in gleaming heavy armor, horses, Indians at each corner locked in treadmill struggle with a maelstrom that just won’t quit. Long motionless take, telephoto, from across the river. It looks curiously static, this life-and-death struggle, suspended calmly in time and space. It’s easy to see how Werner Herzog’s third feature might have provoked cries of “Reaction!” from students and other militants. 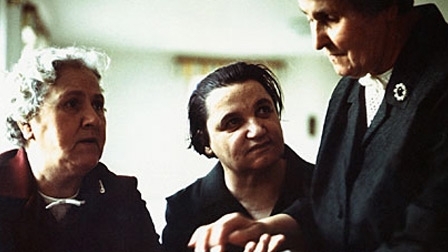 The film’s rebellion of dwarfs against a callous but mealy-mouthed reform school administration certainly “starts small”; it barely gets one cubit off the ground, in fact. 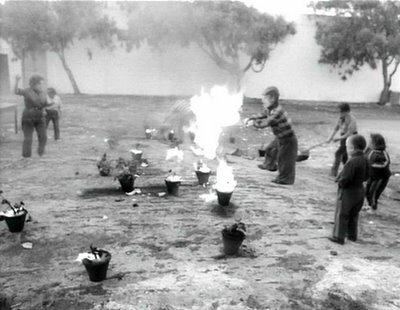 Instead of burning down the school, the rebels burn potted plants. Instead of escaping “nach Dolores Hidalgo,” they commandeer an old car, joyride up and down in it a while, and then abandon it with the motor running, to circle around and around the school courtyard. Instead of humbling the sanctimonious administrators, they torment animals, things, each other. A female dwarf sits at the curb, tirelessly smashing one white egg after another against the stony ground. Another “rebel” busies himself trashing an old typewriter and finally flings it at the circling auto. As a revolution, this is one long “exercise in futility.” And Herzog’s habitual irony, at many points, does seem to be pointing up a politically wry view of the uprising. Why else draw attention, twice, to the proximity of a town called Dolores Hidalgo—site of the historic Grito (cry) that set in motion the Mexican struggle for independence? Nikkatsu, Japan’s oldest film studio, was the home of Japan’s wildest crime dramas and gangster thrillers of the sixties. Whether or not the five Japanese gangster films in the Nikkatsu Noir box set from Eclipse are true noirs is debatable, but they are lively B-movie artifacts from the wild and weird era of Nikkatsu’s glory days of crime movie programmers, when the mob movie rats (like Seijun Suzuki) ran wild through the genre. It’s no surprise that the Suzuki contribution to the set is the most visually and stylistically dynamic, which is not necessarily to say it’s the best. Take Aim at the Police Van (1960) has a great title, a dynamic opening scene (which, no surprise, begins with a police prisoner transport bus sighted through a rifle scope) and a thoroughly routine detective plot that Suzuki turns into a hot-blooded crime conspiracy thriller featuring kidnapped girls, punk snipers, a stripper killed with an arrow to the breast, a paroled criminal tossed off a cliff, faked deaths, hidden agendas and a prison guard (Michitaro Mizushima) turned dogged investigator trying to piece it all together. In classic crime movie fashion, the bad guys don’t just shoot the good guys, they tie them up in the cab of a gas tanker, let the brake off and send it down a hill trailing gasoline, and light a match to the trail. Given the incendiary dimensions of the scene, I’m particularly impressed that the victims use a lighter to try and burn through the ropes before the fire catches up to the tanker. Mizushima has a real straight-arrow presence amidst the cast of crazed killers, colorful small-time crooks and wild girls, but he has the personality to hold his own and Suzuki packs a lot into 79 minutes of black-and-white Nikkatsuscope craziness. In fact, all the films in the set are B&W widescreen with the exception of the Koreyoshi Kurahara’s moody I Am Waiting (1957), the earliest film in the collection. The tale of an optimistic bar owner with dreams abroad and a beautiful runaway singer with a painful past (“I’m a canary that’s forgotten how to sing,” she explains) has an atmosphere that recalls the grim beauty of the Jean Gabin French poetic realist films of fog-wrapped port towns and pitiless villages. It’s the outskirts of Yokohama here, where handsome, helpful ex-boxer Joji (Yujiro Ishihara) rescues a pretty girl (Mie Kitahara) from a rainy coast storm and gives her a place to stay in his colorful dive of a dockside bar. They’re both walking wounded, licking their wounds from careers cut short, but it takes another shot to knock the dreams out of Joji and set him on the trail of his brother’s killer, which just so happens to lead to the gangster who has made a claim on the girl. The fog, the night scenes and the grimy port town atmosphere do wonders to keep the budget down and the mood up, but it all gets less dreamy and more tawdry as Joji goes up against the gangster thugs and battles it out in a nightclub with a floor that lights up. It’s easily the most restrained film in the set, more mood piece than action movie, which gives it a little more class than the more aggressively explosive films that follow. 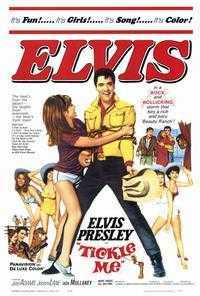 And a great bluesy theme song crooned like a lament. A similarly regret-laden saloon song is crooned over the credits of Toshio Masuda’s Rusty Knife (1958), which is otherwise more gangster thriller than shadowy noir, complete with a Naked City-style opening narration explaining the culture of crime and corruption ravaging the city. As an arrogant crime boss laughs off every arrest with a hearty cackle, a crusading District Attorney pressures a former criminal (Yujiro Ishihara) trying to put his past behind him to testify, to no avail. At least not until it becomes personal, a matter of honor and revenge. There’s plenty of blackmailing and double-crosses and suicide and Jo Shishido (pre-plastic surgery, just before he became a genre icon with the puffy cheeks) gets tossed off a train, and sure enough a rusty knife is pulled out for a bout of poetic justice. Conventional all the way, to be sure, but the juvenile energy of young thug high on hush money and the city streets and abandoned lots shrouded in night give it a perfectly shadowy atmosphere. Jo Shishido has barely a few minutes of screen time in Rusty Knife but takes the lead in the final films in the collection, with his now distinctive chipmunk-cheek look in place. (Chuck Stephens writes a bit about the curious – and strangely successful – plastic surgery that Shishido undertook to give him those puffy cheeks and set him apart from the rest of the pretty-boy action starts in the accompanying notes). 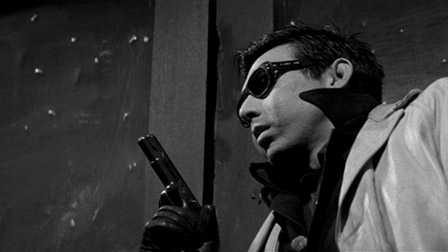 Takumi Furukawa’s Cruel Gun Story (1964) drops an American B-movie heist blueprint very much like The Killing (along with flourishes of both versions of The Killers) and a romantic criminal code into a world of corporate crime bosses and dishonorable thugs. Togawa (Shishido), sprung from prison early so he can run the heist for a big business gangster leader, has reservations about the job and for good reason. He and his reliable second-in-command are stuck with a sneering junkie and a punch-drunk boxer a few knocks away from brain death. Shishido’s Togawa is a cool customer, pensive and still, always sizing up the situation, which serves him well when the perfect armored car heist hits a glitch. 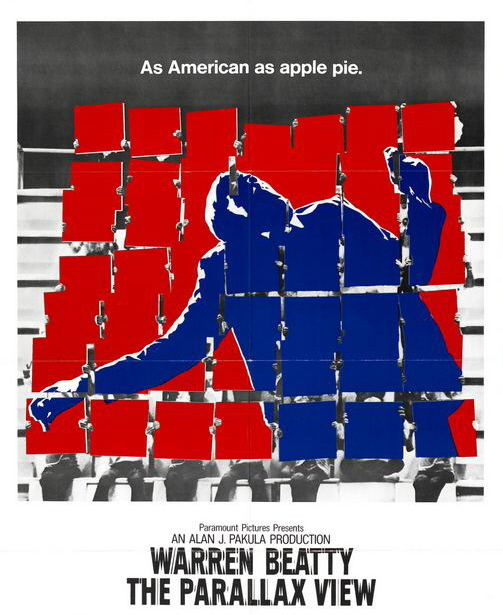 It’s telling that they hole up in a former American military base, now a decaying slum of rotting buildings; the American influence hovers over the entire film, a classic American crime movie in a Japanese idiom. â€œI need payback,â€ Togawa demands, just before he’s grabbed by thugs who would like nothing better than help him metes out his revenge without mercy. The brassy score powers it along with a driving beat, down into the sewers and back up into a thoroughly nihilistic ending. Jo Shishido is a cool killer – but what’s with those cheeks? The set ends in 1967 with Takashi Nomura’s A Colt Is My Passport, though if I’m not mistaken it’s actually a Baretta that is assassin Shuji’s (Shishido) handgun of choice. For his hit on an aging crime boss he uses a high powered rifle, but the killing is the last thing that goes right on this job. With the airports and docks covered, Shuji and his partner hole up in a port town truck stop while awaiting new travel plans. Once again, Shishido is the cool customer in a world of easily corruptible crooks and civilians. He trades his own life to rescue his partner, but in this world it’s apparently just fine to arm yourself to the teeth and shoot it out at your surrender. Shuji is a pretty far sighted guy; he has a second brake hidden in his getaway car and even digs himself a shallow grave for the final showdown, but he’s got other plans for it. The great spaghetti western-inspired score adds familiar Japanese instruments and jazz inflections as it progresses, becoming a real genre symphony, and Nomura pulls out all stops for the mad shoot-out in an abandoned quarry: this film’s answer to the desert plains of a spaghetti western. It ends the set on a high note and I was left high on crazy crime movie fumes. 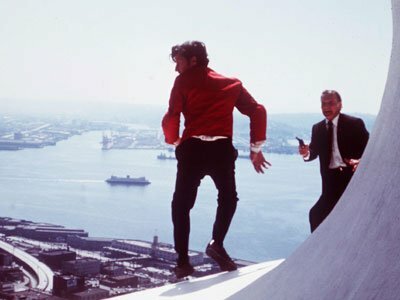 None of these are masterpieces but they are all inventive little nuggets of genre fun with energy, attitude and style, and in moments–such as the wild finale here–it’s just plain delirious. Eclipse is Criterion’s budget-minded line of box set so there are no supplements, but Asian film expert Chuck Stephens provides brief essays with each film. Stephens has a rather overripe writing style, more expressive of his love of the films than of the films or the genre itself, but he does offer some context and background on the films and filmmakers and on the youth culture that brought younger and younger faces on to the screens. The transfers are all fine, the earliest showing a little wear, the later ones sharper and with strong contrasts. Only Take Aim at the Police Van shows any noticeable flaws: in the master shots the image has a soft pocket in the center right, but only for long shots. Close-ups and medium shots look fine, which leads me to believe that it’s an issue with the master materials. Regardless, it’s a very minor issue and does not distract from the film. The soundtracks are strong, with only minor hiss, and the music comes through strong and clear. All in all, a real treat. Published in conjunction with seanax.com. 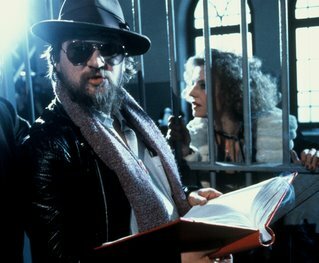 Whether or not Rainer Fassbinder was the most talented of the wave of West German directors who emerged during the 1970s, he was certainly the most prolific, protean and elusive. 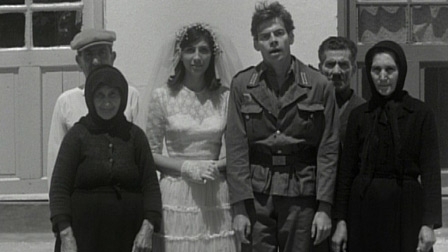 His first feature, Love is Colder than Death was released in 1969. 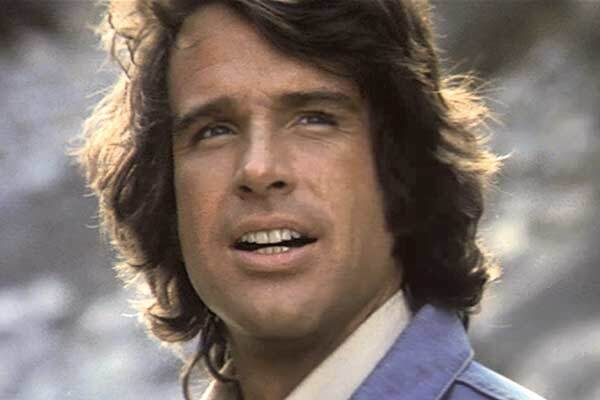 Incredibly, the films discussed below, Fox and His Friends (1974) and Mother Kusters Goes to Heaven (1975) were his 22nd and 23rd feature-length works; by the time he died in 1982 he had completed 14 more including the 16-hour television series that was his magnum (and grand) opus Berlin Alexanderplatz . Fassbinder worked with frenzied urgency, pushing toward, and almost thriving on, excess—of stylization, melodrama, visual expressiveness, compositional precision, and pretty much everything else that defines the limits of film as a dramatic and expressive medium. His work could be wildly uneven and occasionally overwrought, clinically dissecting characters with the detached cruelty of a child pulling the wings off of flies. But it was seldom dull or pedestrian, and he seemed congenitally incapable of anything perfunctory or unengaged. Add in a personal life reportedly consisting of relationships that were a vipers’ pit of duplicity, jealousy and manipulation and a lifestyle Dionysian enough to give mere degeneracy a good name: he famously dismissed concerns that cocaine might ruin his health with the glib assertion “in Hollywood I can get a Teflon nose.” It’s enough to make you wonder how he got anything done, much less became one of the most productive film directors in history. (Of course, he did die at 37—well past his “sell by” date physically but not artistically: his penultimate film, Veronika Voss , was among his best). He only dialed back his lifestyle—reportedly even abstaining from white powdery substances—and fully devoted himself to his craft once, for the year he spent laboriously realizing his dream project, a film adaptation of a novel he revered, Alfred Doblin’s Berlin Alexanderplatz. The resulting masterpiece runs 16 hours, enough screen time to imbue the characters and their milieus with a richness and depth not always evident in his other work. Sarris blurbed it “an Everest of modern cinema.” Its fullness suggests that the fierce urgency of the broad strokes he used to craft his other work may have sacrificed complexity and resonance for force and clarity. Though his name is conspicuously absent from the cover, the Icon of Sci-Fi celebrated in Sony’s three-disc set is Ishiro Honda, the prolific director of the original Godzilla and a legendary run of giant monster movies. This collection from Sony highlights his science fiction output with the stateside DVD debuts of three films, a mere fraction of his genre filmography. The H-Man (1957) is not a man at all but a gooey radioactive slime (the original Japanese titles translates to “Beauty and the Liquidman”) that slurps into Tokyo, starts oozing up legs of gangsters and digesting them in seconds flat. It’s a monster movie horror within a cop crime drama, with detectives investigating a drug ring where all the suspects keeps getting dissolved. Motivation for the hungry, hungry puddle is vaguely suggested by a scientist who reads a headline about a missing suspect and immediately suspects radioactive hanky panky, but it still doesn’t quite explain why it invades the nightclub where all the gangsters hang, unless it absorbs the instincts of its victims as well. At least it that would explain its obsession with nightclub singer Chikako Arai. There are some great ooze effects of the gelatin spill going up walls and some dummies that deflate in place of victims being boiled into mush. The optical effects with freeze frames and animated slime are far less effective and for some reason they periodically turn into big green ghosts. 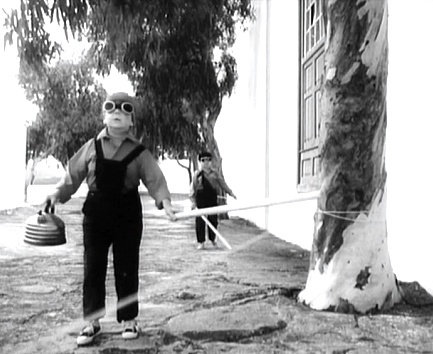 Battle in Outer Space (1959) is a visually splendid and narratively pedestrian space opera, short on character and plot but full of great miniatures and dramatic effects in a film packed with spectacle. It’s not just ships zapping each other with lasers in the dark void of space; there’s a caterpillar surface transport crawling over the rocky volcanic moonscape, a shoot-out with a fleet of flying saucers, a mind-controlled assassin sabotaging a human rocketship and of course the alien assault on Earth landmarks in the final battle. They may look like toys in flight, but they are they best toys a sci-fi geek could behold on screen in 1959, which alone makes it a genre highlight. 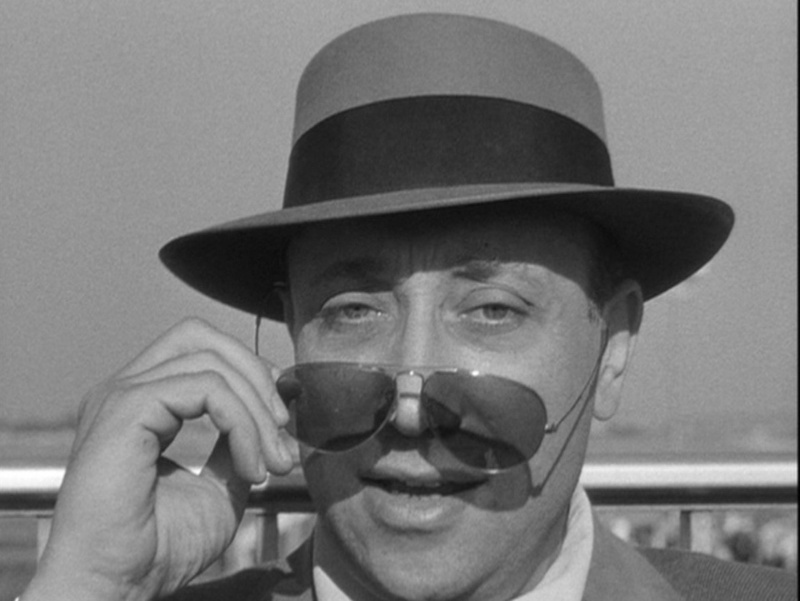 Jean-Pierre Melville is surely the ultimate cult auteur in the French cinema. Spiritual godfather of the French New Wave (Jean-Luc Godard paid tribute to Melville with a generous cameo in his debut feature Breathless), Melville was a maverick in the system from his astounding, independently produced debut La Silence de la Mer (1947), a chamber drama set in the Nazi occupation of France, to his final film, the buddies-turned-nemeses heist thriller Un Flic (1972). He’s a favorite director of John Woo, Quentin Tarantino and Michael Mann (whose coolly attenuated crime thrillers owe a great debt to Melville), and his masterpiece Le Samourai (1969) was an inspiration to both Walter Hill’s The Driver and Woo’s The Killer. Yet only in the past few years have his films really become available to American audiences, largely through theatrical rereleases by Rialto and lovingly produced DVDs from Criterion (who have released eight of his thirteen features since 2002). With Un Flic (aka Dirty Money) on DVD from Lionsgate (and earlier from Anchor Bay), that brings the number up to nine. It’s like they are being slowly doled out, like the last precious drops of water on a desert trek. In the ill-starred filmography of Elvis Presley, Tickle Me has long been considered the lone instance of the King reaching out beyond a simplistic movie formula, and thus presents a fascinating case study for Elvis fan and serious film scholar alike. (To be sure, Girls! Girls! Girls! has its champions, but save that for another day.) Tickle Me was originally assigned to director Hal â€œFirst Takeâ€ Beauregard, who, despite his advanced age and unfamiliarity with post-World War I music, had already guided four Elvis vehicles to box-office success. Just before shooting began, Beauregard was taken off Tickle Me when it was discovered that he had been legally deaf and partly blind for the previous decade, a condition known only to himself and Presleyâ€™s manager, the legendary Colonel Tom Parker. This is where the saga truly becomes interesting. With only days until principal photography was scheduled to begin, Colonel Parker asked Lean for an inspiration. And Lean found one: Alain Resnais, the French director of Hiroshima, Mon Amour, which had exploded onto international movie screens a few years before. Resnais was in Hollywood hoping to jump-start his American career with an MGM horse-racing picture, but immediately leapt at the chance to work with the singer known in France as Le Roi du Pelvis. It was Resnaisâ€™ inspiration to enlist writer Alain Robbe-Grillet to punch up the Tickle Me script, which was originally penned by Ellwood Ullmann and Edward Bernds, a long-established writing team whose previous film was The Three Stooges in Orbit. One might expect Robbe-Grillet, widely celebrated for the 1950s Nouveau Roman movement as well as his superbly manicured fingernails, to look down on the assignment. 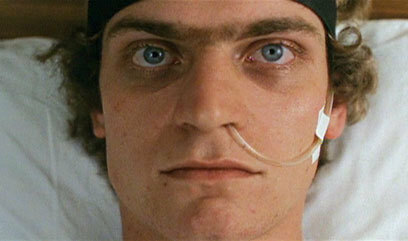 Yet he relished the prospect of exploring U.S. culture from the inside. Later he was to recall the experience as a welcome break from the â€œexcess of thinkingâ€ that marked his work in French literature. This film magazine/blog, a collaboration of a small group of Seattle-based film critics, went live on August 14, 2008. To celebrate our first anniversary, we pay tribute to the film that inspired the name with archival pieces by our contributors. There is no more classical filmmaker than Alan J. Pakula at work in the American cinema todayâ€”a description that applies at several levels. Among contemporary directorial hotshots he is a comparative veteran, having been employed in one capacity or another in the studio system since the late Forties. The meticulous production values of his films suggest more affinity to the Old Hollywood than to the Age of the Cinemobile, although the seamless fusion of location work and impeccably detailed soundstage recreations (Stroheim could scarcely have improved on stuffing the All the President’s Men wastebaskets with authentic Washington Post trash) sit well with presentday preferences for verismo. Similarly, the astonishing density of performance he elicits from the merest bit-player yields the kind of behavioral richness associated with the ensemble professionalism of a bygone generation of character actors. Indeed, he goes one better. 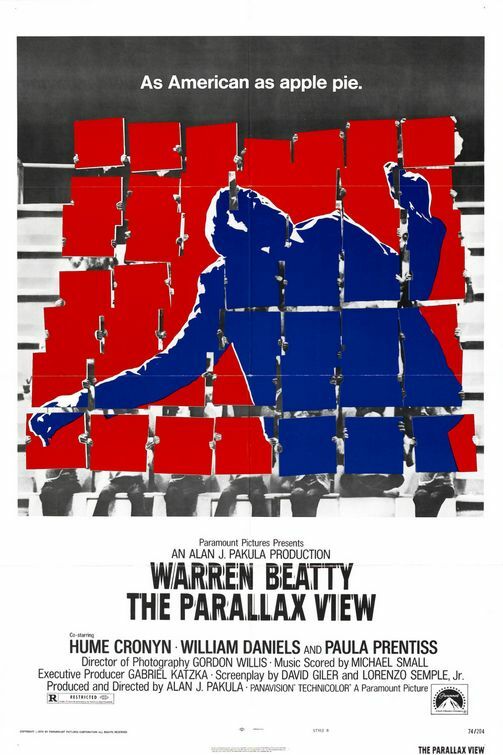 Even when a performer is trotting out his or her familiar specialty number (William Daniels’ fidgety-smarmy political aide in The Parallax View, Valerie Curtin’s teary collapse when Woodstein appears at her door a second time in All the President’s Men), the character has an edge and validity that suggest Pakula has taken the player back to the origin of the shtik, and beyond.